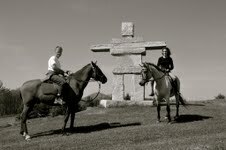 everything equine is amazing, and the cost of boarding at Running Horse Farm is very affordable. her knowledge and advice freely. eyes and blows bubbles! Then the trail goes deeper into the woods for a scenic journey. it is my sanctuary and my salvation as well as that of my horses." "What an experience! It was disarmingly meditative...for Scarlett, it was energizing and soothing all at the same time. We were so present. Happy to choose peaceful kindness as a way forward not only with Scarlett but also with my life. So easy to work on at RHF. Deepest gratitude for sharing your dream with us." 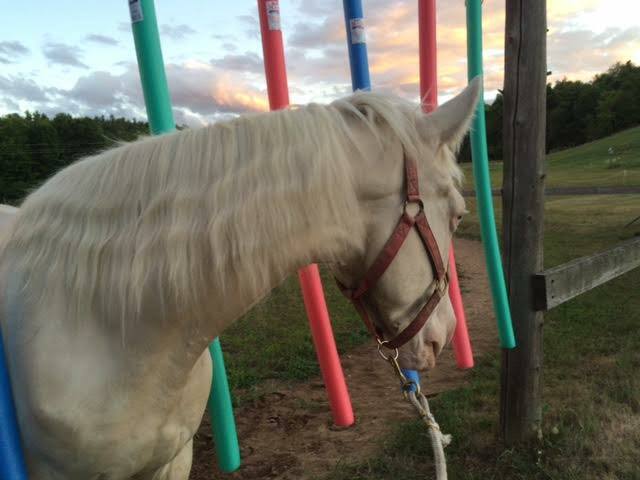 "I actively looked for a horse for over a year. In the end, I am so thankful that it took me that long, because my searching allowed me to pinpoint the qualities I was looking for in an equine partner. What became evident to me was my priority first and foremost was temperament, followed closely by conformation. I wanted a horse that was intelligent and willing to learn. I wanted a healthy, balanced horse that could be trained in dressage and be sane enough to trail ride. I was not looking for a specific breed, but for a breeder with a philosophy and training technique I could relate to and respect. The first time I visited Marla and Alan at RHF, Tatanka and his brother, Apollo, quickly walked over to greet me. I spent a long weekend there taking dressage lessons from Marla, going for trail rides and getting to know Marla and her horses. I was (and still am), so impressed by her intelligence, thoughtfulness and integrity. Tatanka is an amazing creature. He is loving, friendly, observant and willing. He is kind, smart and curious. He has handled the big recent changes in his life so well, all the while maintaining his willing attitude. His conformation is beautiful. His feet, to die for. Thanks to Marla, his knowledge of dressage is greater than mine, so we are working with a wonderful dressage trainer here in Massachusetts to continue his schooling, as I am not enough of a rider to train him myself. This horse has become a best friend to me, and a part of my family. I am eternally grateful to Marla and Alan for the opportunity to share my life with Tatanka." trusted me enough to choose me to be Apollo's owner." Running Horse Farm !!! Thank you very much Marla for your professionalism and your kindness! Your horses are proof of it!" am tickled pink to own a Running Horse Farm Curly!! Thank you Marla and Alan!!" 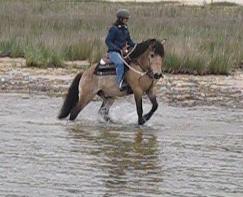 "Thank you so much Marla and Alan for helping and teaching my young gelding to work through his issues that come with not being handled properly as a baby. He is now very responsive, and trusting and he is continuing to learn and is becoming a very loving and wonderful mount. 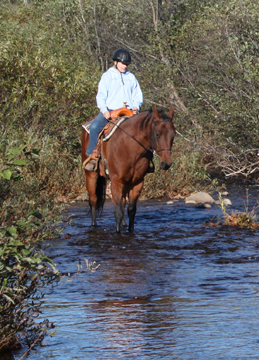 We have been out on the trails and with more miles under the saddle, Diesel and I will become as one as we go forth in our riding adventures. Marla is a very experienced and knowledgeable trainer and I would recommend her to anyone needing or wanting to further their training with their equine partner. Thanks again Marla and of course, your very important partner, Alan." 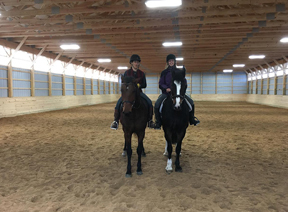 Testimonials from: RHF boarders & leasing students; riders who have added our horses to their families; students; and clients who have had horses trained at Running Horse Farm.